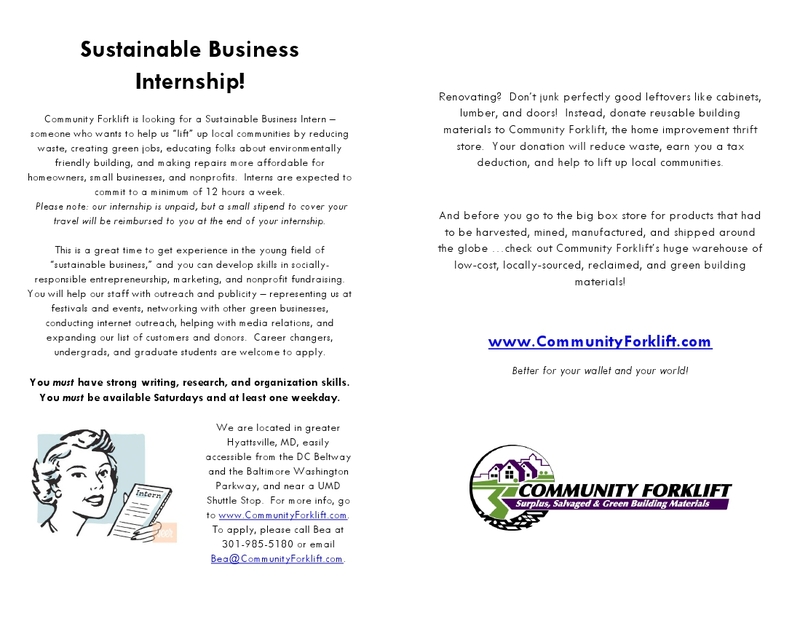 Home » Uncategorized » Community Forklift is seeking spring interns! Community Forklift is seeking spring interns! Are you a college student or career changer looking to learn about sustainable green business? 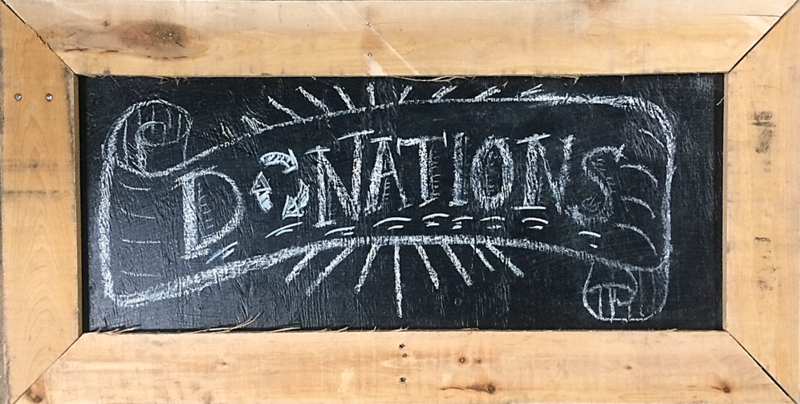 Join Community Forklift’s Outreach & Education team as our spring intern! Details below. To apply, send a cover letter and resume to Bea(at)CommunityForklift.com – thanks for your interest!